The city of towering stone temples was built in the forest between 802 and 1220 AD and is the largest religious monument in the world, originally it was built as a Hindu temple dedicated to the god of Vishnu then, in the 14th century, it was converted into a Buddist temple. Here are some facts you might not know about Angkor Wat. The Angor ruins stretch for more than 400 square kilometres, this is why many visitors only manage to visit a few of the most famous temples. Many visitors do not realise that many surfaces of the Angkor temples were once painted. Today, only small traces of the paint remains on just a few temples. Angkor Wat is unusually oriented to the west, a direction typically associated with death in Hindu culture. Archaeologists and scholars disagree as to why the ancient builders chose to deviate from the norm (pointing structures east) at the time. Bas-reliefs at Angkor Wat read counterclockwise, another indication that the temple is associated with funeral rituals. The sandstone used to construct Cambodia's national monument, at least 5 million tons worth, had to be carried from a quarry 40km away. Most of the money to restore Angkor Wat comes from foreign aid. Only an estimated 28% of ticket sales goes back into the temples. If you thinking of visiting the historic ruins, a three-day pass to explore the Angkor temples costs US $40. A single-day pass is available for US $20, or a week-long pass can be purchased for US $60. The Angkor temple, Ta Prohm, famous for the large vines that strangle the ruins, was used as the set for the hit movie Tomb Raider. Paramount was charged US $10,000 per day for seven days to film there. Unfortunately, some of the iconic trees growing through the ruins at Ta Prohm have had to be removed to preserve the temple from further collapse. 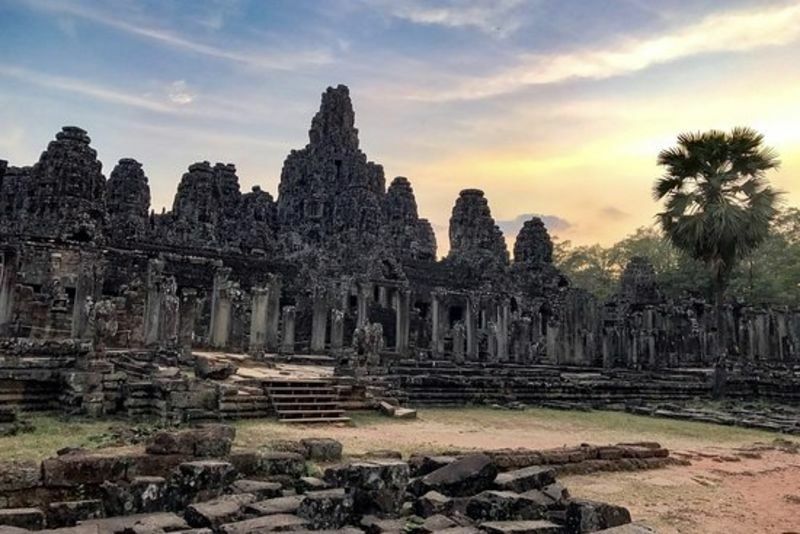 The Temples of Angkor feature a moat as their outermost boundary as water is symbolic of the Cosmic Sea, which is the source of creative energy and life for Hindus. Is the 5-Minute Crafts the Worst YouTube Channel?